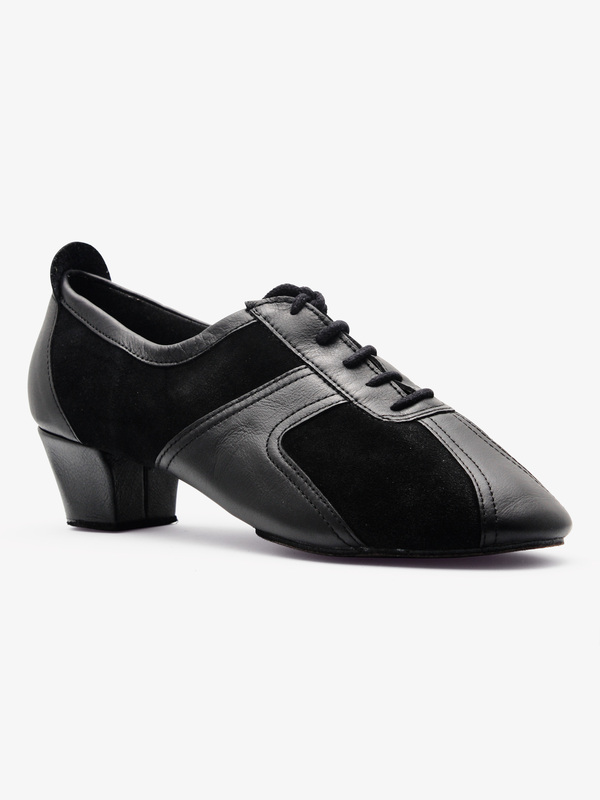 Men's and Women's Supadance latin and ballroom dance shoes for sale online in a variety styles. 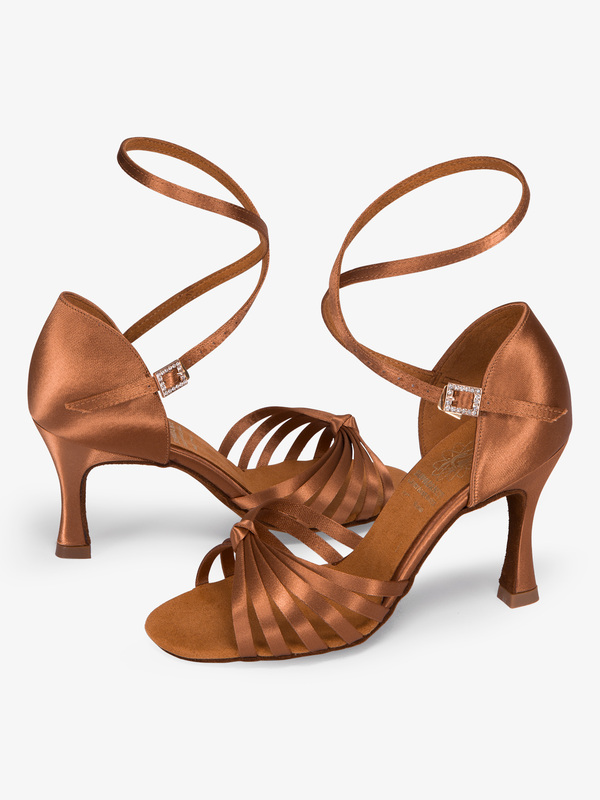 Supadance Womens Strappy Satin Ballroom Dance Shoes DA1066: Simple and elegant, this Supadance ballroom shoe features a six-strap vamp design, a crisscross ankle strap, a medium width, and a rhinestone buckle closure. Heel height: 2.5 inches.Shoe is offered in UK sizing - please see sizing tab for suggested fitting. Supadance Breeze Split Sole Ballroom Dance Shoes 410: The Breeze is a unique design which can be used for teaching, practicing, and competing. This style is made from the softest leather and suede for comfort and to allow the foot to articulate with ease. A foam lining is also used for additional comfort and has a specially designed centered contour heel for excellent stability and balance. This style benefits from a distinctive split sole design giving greater flexibility. This shoe also benefits from a durable latex arch support. Perfect for men and women. Please see sizing chart for size conversion. 1426 Ladies' Latin Practice Sandal with a 1.5" Block Heel: New practice sandal with ankle strap that can be worn 3 different ways. Black or Taupe. Supadance 1666 Girls' Sandal: Child sizes latin/ballroom dance shoes. 6 strap knotted vamp. Two way fastening strap. Regular Fitting with Regulation Heels in Flesh Satin. SUPADANCE 1616 Women's Tan Satin 2" Flare Latin Dance Shoes: Ladies open toe sandals with two adjustable straps across top and a single ankle strap. Steel Shank for arch support. Suede Sole. SUPADANCE 1058 Dark Tan 2.5" Flare Heel Latin Dance Shoes: Fabulous ladies open toe sandals. A T-Strap design with looped straps in front which is simple and beautiful. Suitable from beginners to expert dancers. SUPADANCE 1021 Flesh Satin Ballroom Dance Shoes: 2" Flared Heel. Suitable from beginners to expert dancers. Made in England by Supadance. Steel Shank for arch support. Men's Supadance 9001 Ballroom Shoe: Black patent. 1 inch heel. Supadance 1021 Ladies' Court Shoe with a 2.0" Flared Heel: Beautiful clean line court shoe with angled strap across foot and stones on the buckle. MANY MORE STYLES: Supadance Online Store.